Showing results for tags 'clover configurator'. Hi to everyone, i've installed Yosemite with Chameleon and i changed to Clover to solve iMessage's issue. I need to change the S/N of my Mac and i only can modify the config.plist file manually, 'cause Clover configurator doesn't see the file's settings. I've modified all the config.plist file that there are on my mac (EFI partition and not) but the S/N doesn't change. Please help me, i don't know what to do. 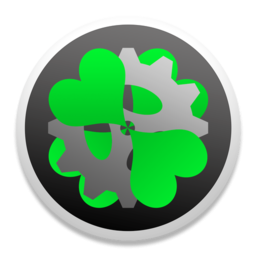 I've installed Clover in ESP. ? Thank you. Hi, I'm reporting here because I have trouble using Clover Configurator, which is indeed a great tool. I'm trying to make my Clover boot panel a little bit slimer, because far too many entries are useless (see first attachment). screenshot0.bmp Since I suspect the useless entries are coming from several EFI volumes spread over my disks, I would like to hide several volumes from this Clover boot display. Clover Configurator allows clearly for this (in GUI/Custom/Legacy AFAIR), and I used the GUID for naming the volumes I want to hide. 1) When I hit the 'Generate Config' button (CC version 4.17.0), I always get the 'There was an error ...' message, with a red label. And this is true even if I try to process my genuine config.plist file I use every day, I must ... 2) I have a 2-fold question : should I use the 'config.plist' after exporting it right out of CC, instead of trying to 'Generate Config' ? If not, which type of file is Generated thru the GC button, indeed, and how to feed it to Clover itself, afterwards ? 3) It seems that I don't even know how to feed the Clover installer tool itself with the proper config.plist file. Could you please gime a hint ? Or direct me to a useful page explaining this ? I currently use 'Clover_v2k_r2953.pkg' installer, and there is no button or menu to import the proper config.plist produced by CC, for example. How's that ? Thanks in advance for any help/hint, Regards, G. ?